In the last posts dedicated to the news of gvSIG 2.0 we have seen how we can create new symbols libraries or thematic maps. In both cases gvSIG stores information in folders. Let’s see some tricks to the most restless users (and careful). 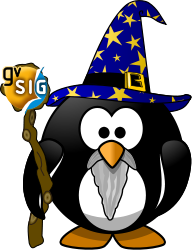 Symbols are stored by default in user folder /gvSIG/plugins/org.gvsig.app/Symbols. Searching this folder we’ll see a subfolder for each symbols library installed in gvSIG. By default it only shows “gvSIG basic” that’s the symbols library that comes with basic installation of gvSIG 2. If you have installed other libraries as Google, OSM, OCHA, … you’ll find a subfolder for each one. If you want to delete one of them and it is not shown in your gvSIG, it is so easy as delete the subfolder. This could be very useful when creating our own symbols libraries and we want to test if we can delete it easily. Imagine you want to join two symbols libraries in one or, for example, add a part of the symbols of a library in other. Well, is so easy as copy the content of one in the other. When opening again gvSIG, it will read the new organization of folders/symbols and will show it in the symbology manager. In gvSIG 2.0 thematic maps are stored by default inside user folder gvSIG/plugins/org.gvsig.educa.thematicmap.app.viewer/thematicMaps. Here we find a list of all thematic maps we have been creating and are available in gvSIG. We’ll find a subfolder for each thematic map created. This subfolder will content two files, a .info and a .gvsthm. To delete a thematic map just delete the corresponding subfolder. This entry was posted in english, gvSIG Desktop, opinion. Bookmark the permalink. and piece of writing is actually fruitful in favor of me, keep up posting such posts.